(Finished!) POLL #2: Python Coding Competition - Choose either Jetpack or Legend of Lanea! The first poll was a tie between Jetpack and Legend of Lanea So we need another poll to get the winner. You can vote either Jetpack or Legend of Lanea in the poll below. You cannot see the results until the poll expires. The entries are described in more detail here: [Release & Competition] Online Python Editor for Pokitto! Please base your vote on the version in the “Spring 2019 Contest.zip” file, and ignore after-competition changes to keep this fair. The poll will be closed on 8th of April, 2019, at 18:00 (GMT). If this poll also ends in a tie then I suggest either the judges vote or @Hanski just flips a coin. So let’s wait still one hour. The voting is over! No votes received by PM. @jonne could you put the poll results visible? 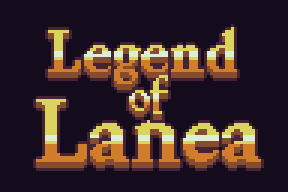 The best game of the GameJam selected by Pokitto community is Legend of Lanea ! The votes: Legend of Lanea : 60%, Jetpack: 40%. The winners of the other two categories will be announced later this week.